Murphy argued that its well satisfied the offset well provision in the landowners’ lease. Five of the justices on the Supreme Court agreed. The lease contains no definition of “offset well” and does not say how close such a well must be to the offending well. Most of the arguments in the briefs dealt with the meaning of the term. The landowners argued that an “offset well” is necessarily one that protects against drainage, and that proximity to the draining well is necessary to effectuate that purpose. Justice Lehrmann then addressed the meaning of “offset well” in the context of horizontal drilling. She quoted the definition of “offset” in Websters Third International Dictionary: something that “serves to counterbalance or to compensate for” something else. She concluded that Murphy’s well serves that purpose. The clause was intended only to “require accelerated drilling when production from a well on an adjacent tract evidenced that the leased tract was also capable of production,” not to protect the lease from drainage. [W]e recognize that leases executed in other settings–not involving shale plays and hydraulic fracturing from horizontal wellbores–may utilize similar provisions that remain silent as to proximity requirements. But … we must account for the circumstances in which these leases were executed. Therefore, we limit our holding to the circumstances at hand, which involve unconventional production in tight shale formations. We express no opinion as to the proper interpretation of similar clauses outside this context. In an amicus brief in support of the landowners’ motion for rehearing, amici pointed out that the Merriam-Webster Dictionary defines “offset well” as “an oil well drilled opposite another well on an adjoining property.” Landowners referred the court to definitions of offset well that require proximity: “a well drilled on the next location” (Langenkamp, Handbook of Oil Industry Terms & Phrases); a well “next to another owner’s tract on which there is a producing well” (A Dictionary of Petroleum Terms); A “well drilled on one tract of land to prevent the drainage of oil or gas to an adjoining tract of land, on which a well is being drilled or is already in production” (Williams & Meyers, Oil and Gas Law, Manual of Oil & Gas Terms). Justice Johnson’s dissenting opinion also cites several definitions of “offset well”, e.g., “[a]n oil well dug for the specific purpose of preventing drainage of oil to adjoining property” (Ballentine’s Law Dictionary). Justice Lehrmann’s opinion cited an article by Jason Newman and Louis E. Layrisson, III, Offset Clauses in a World Without Drainage, 9 Tex. J. Oil Gas & Energy L. 1 (2013-2014) in support of her “context” discussion. This article was written by the attorneys representing Murphy, while the case was pending, a fact pointed out to the court by the landowners and amici in briefs on the motion for rehearing. The majority’s corrected opinion eliminates any reference to Newman’s article. 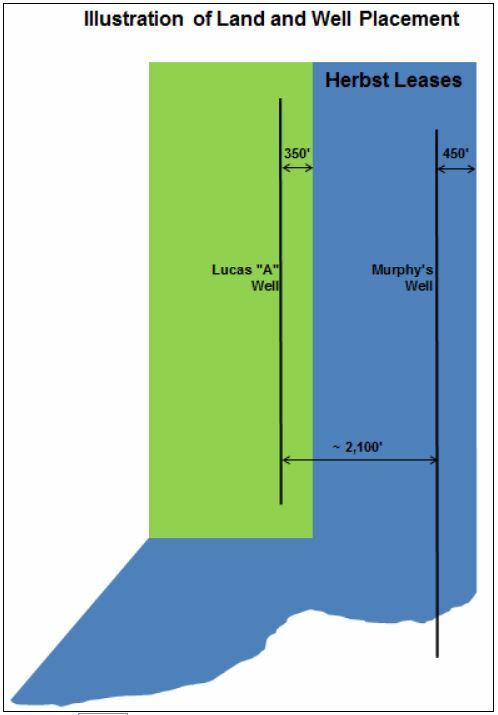 Lesson for landowners: In any lease clause expressly requiring offset wells, define an offset well. Amici are concerned that the Court’s ruling has used the surrounding circumstances doctrine as a pretext for a policy-based balancing of correlative rights. While the balancing of efficient oil and gas development against private property rights may be a legitimate policy goal of this Court in cases regarding certain common law remedies, private contracts are another matter. Texas courts have consistently refused to modify the plain language of oil and gas leases, even when the results are arguably inconsistent with efficient, economic development. Texas courts have recognized that parties to private contracts are masters of their own agreements, and it is not for any court to decide what the parties should have negotiated. Additionally, this Court’s policy-based decision ignores the purpose of private contracts. While the Court’s ruling states that there is an “absence of a significant possibility that drainage was in fact occurring”, the Lucas Well may actually be draining oil and gas from the Respondents’ property. There is no evidence in the record either way, and for good reason. The Offset Clause in the Leases is a negotiated hedge, a method of avoiding debates about geology, formation characteristics, or whether any individual well is draining Respondents’ tract. Private parties regularly use contracts to allocate risk and provide for protection from even unlikely scenarios in a variety of situations. The mere fact that drainage is possible, no matter how remote, supplies more than enough justification for Respondents’ inclusion and interpretation of the Offset Clause, if justification is needed for the enforcement of freely negotiated contractual terms. The Court’s reliance on the surrounding circumstances doctrine is troublesome to Amici because it casts uncertainty upon almost every term and provision in every oil and gas lease. Attorneys will no longer be able to reasonably advise their clients as to the legal effect of long-understood terms and provisions when each term and provision can be transformed based on whatever future “context” is expedient to the operator. This Court should grant Respondents’ motion for rehearing in order to reaffirm the limitations imposed by this Court’s previous rulings on the surrounding circumstances doctrine. The Court acknowledges the rule that evidence of the circumstances surrounding a contract’s execution cannot be used to “add to, alter, or contradict the contract’s text.” … But in concluding that the parties could not have intended the traditional definition of offset well in light of the surrounding circumstances, the Court uses such evidence to alter the well-established meaning of the term.